There’s been plenty of rosy talk lately from entrepreneurs and stakeholders in Madison, WI, about the area’s potential for becoming a national hub for healthtech startups. On Tuesday, Madison got an endorsement from Boston venture capitalists who are starting to take notice of the entrepreneurial activity happening here, including in health information technology. Local optimists say that Madison’s health IT play will be anchored by nearby Epic Systems, the giant electronic health records company that hires talented software developers and other young professionals—1,200 of whom quit Epic each year and sometimes form or join healthtech startups. Madison’s other strengths include quality healthcare systems and a respected computer science program at the University of Wisconsin-Madison, supporters say. The key thing that’s still missing is large sources of funding, particularly later-stage capital—a weakness that was acknowledged by supporters at a panel discussion in Madison on Tuesday featuring three Boston VCs. The East Coast VCs indicated they are keeping an eye on what’s brewing here. The event was held at the new offices of Nordic Consulting, the Epic software consulting firm that has grown to more than 400 employees in four years, and organized by the Wisconsin Angel Network and 100health, a new healthtech incubator started by three ex-Epic employees. More than 20 people, mainly Wisconsin investors as well as local healthtech entrepreneurs and at least one hospital executive, turned out for the event. 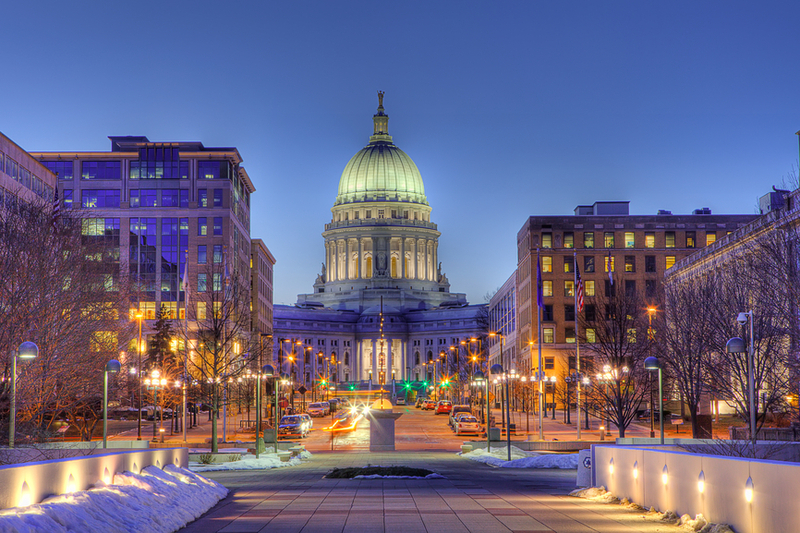 “Where Madison is today is similar to where Nashville was 25 years ago,” said Peter Grua, a partner with HLM Venture Partners, a healthcare-focused VC firm with offices in Boston and San Francisco. In Nashville’s case, companies there took advantage of the 1980s shift from inpatient to outpatient healthcare driven by payer reimbursement changes, Grua told Xconomy after the panel discussion. Companies like HCA grew successful, and some of their employees went on to sprout new companies, creating a thriving healthcare ecosystem, he said. “It’s very likely the same events can happen here,” Grua said during the panel discussion, citing the entrepreneurship coming from Epic and the broader healthtech market trends.